During his Presidential campaign, Donald Trump said that a nuclear-armed Japan might not be a “bad thing” for the United States “because of the threat of North Korea.” In a recent op-ed, Charles Krauthammer seemed to agree, advising the incoming administration to declare that the United States should no longer oppose Japan’s acquisition of nuclear weapons. He argued that “the Chinese have many nightmares, none worse than a nuclear-armed Japan,” and China can “halt” the North Korean nuclear weapons program. Both are wrong: a nuclear-armed Japan would endanger American—and Japanese—security interests, while only reinforcing North Korea’s determination to keep its nuclear weapons as the key to its survival. Eliminating North Korea’s nuclear weapons and weapons programs has been the central goal of US policy toward Pyongyang for more than two decades. Yet the DPRK has already developed an arsenal of more than 10 bombs, according to the South Korean Ministry of National Defense. And in his 2017 New Year’s Day message, North Korean leader, Kim Jong Un, claimed that Pyongyang will soon test an intercontinental ballistic missile (ICBM). The very real prospect of the DPRK possessing nuclear-tipped ICBMs capable of reaching the United States in the not-too-distant future presents a threat that we must address. That said, beyond speculation about Kim Jong Un’s rationality, there is no reason to believe that North Korea’s advances in nuclear-armed missile capabilities will undermine the effectiveness of America’s current policy of deterrence of nuclear attack against the United States and extended deterrence of attack against Japan, South Korea and other allies. Large numbers of American troops in both Japan and South Korea reinforce the US commitment that an attack on either country would meet the same response as an attack on the United States. Theater missile defenses in Northeast Asia, the US national missile defense system and an American nuclear arsenal that dwarfs that of North Korea provide further surety against the DPRK threat. Still, we must continue to seek the elimination of Pyongyang’s nuclear capabilities because of the threat it poses directly and because of North Korea’s willingness to share its nuclear technology with other countries, such as Syria. Unfortunately, as many have noted, there are no good solutions to the problem—only a choice among bad options. Former Defense Secretary William Perry, who dealt with the 1994 nuclear crisis with North Korea that almost led to war, has offered what is arguably a least bad option: initially pursue an agreement with the DPRK to diminish the threat its nuclear weapons pose, and then build upon such an accord to seek their elimination. Krauthammer’s suggestion that the United States suspend its opposition to a nuclear Japan, on the other hand, would have little chance of success in eradicating North Korea’s nuclear weapons. While such a policy change would increase pressure on the Chinese to persuade North Korea to reduce its arsenal, it would simultaneously intensify the Kim regime’s determination to keep or increase it to stay in power. Pyongyang has repeatedly proven resistant to outside pressure when it believes its security is at stake. Indeed, following Mr. Krauthammer’s advice could spark a destabilizing nuclear arms race in East Asia that would pose a range of new threats to American and regional security. 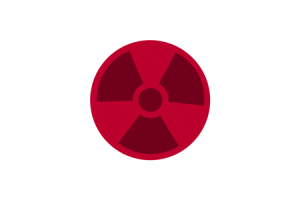 Despite gaining the capability of developing nuclear weapons decades back, and despite an increasingly complicated security environment, Japan long ago rejected the idea of going nuclear. The country has held fast to that decision ever since. In the aftermath of China’s successful test of a nuclear weapon in 1964, Japan closely reviewed how best to respond, including whether to develop its own nuclear arsenal. Tokyo concluded that choosing that path would be far less effective than a US guarantee of extended nuclear deterrence, which President Johnson affirmed for Japan in 1966 and every president since has reaffirmed. It would more likely undermine the basis of its own survival. Only in a case where destitution reaches a stage where the exchange of damage with an opponent is not a concern any more, would the geopolitical vulnerability of Japan make the nuclear option a possibility. This, however, is a case where a condition becomes its own goal, and is not worthy of consideration. Japan’s public and its leaders understand that choosing to go nuclear would actually reduce the country’s security. It would undermine the country’s vital alliance with the United States and likely provoke South Korea, America’s other key alliance partner in East Asia (which has also rejected nuclear weapons despite having the technical capability), to follow suit. However, 59 percent of Koreans gave a positive answer when asked, “Should South Korea possess nuclear weapons?” according to the same Genron NPO survey cited above. Given their ongoing distrust of Japan, Koreans would almost certainly view their neighbor—if armed with nuclear weapons and unmoored from its alliance with Washington—as a threat, generating even more support for developing a nuclear arsenal. If Japan and South Korea joined the nuclear club, China could be expected to respond by increasing its own store of nuclear bombs, while other states in the region would feel less constrained by their NPT obligations. The likely result would be the end of both the US-led alliance system in Asia, which has been so successful in advancing US and regional interests, and the NPT, which stands as the world’s most important and successful arms limitation treaty. Within East Asia, historical animosities still afflict Japan’s interactions with South Korea and China; territorial disputes undermine Japan’s relations with China, Korea and Russia as well as China’s relations with Vietnam, the Philippines, Malaysia, Brunei and Vietnam; internal conflicts linger in Thailand, Myanmar, the Philippines and Indonesia; and a number of autocratic regimes and democracies alike face instability. The proliferation of nuclear weapons would not only increase the chance of catastrophic war in the context of regional tensions, but also of loose nukes falling into the wrong hands. Krauthammer’s suggestion that the US use the threat of Japan going nuclear to compel China to force North Korea to give up its nuclear weapons would almost certainly fail. President Trump’s view that a nuclear-armed Japan might somehow benefit the United States is highly unlikely. Instead, a nuclear-armed Japan, North Korea’s sworn enemy, would reinforce Pyongyang’s view that its nuclear weapons are the key to its survival while sparking an East Asian nuclear arms race that would undermine the US alliance system in Asia, destroy the global nuclear nonproliferation regime and pose a range of new threats to American and regional security. Daniel Bob is Director of Programs and Senior Fellow at Sasakawa Peace Foundation USA. William J. Perry, “To confront North Korea, talk first and get tough later,” Washington Post, January 6, 2017, https://www.washingtonpost.com/opinions/to-confront-north-korea-talk-first-and-get-tough-later/2017/01/06/9334aee4-d451-11e6-9cb0-54ab630851e8_story.html?utm_term=.4317ac485c9a . Genron NPO, “The Genron NPO Poll 2016: The Future of Northeast Asia and Public Opinions,” p. 33.